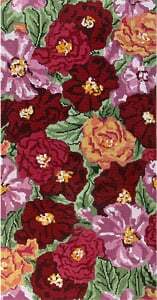 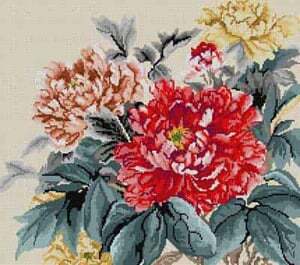 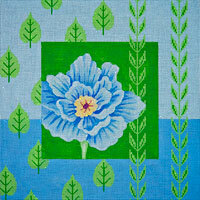 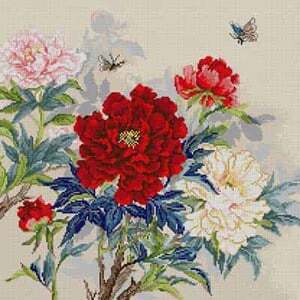 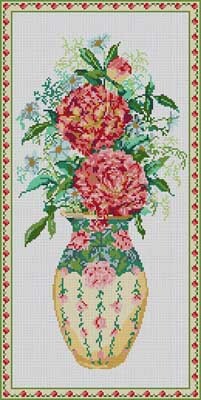 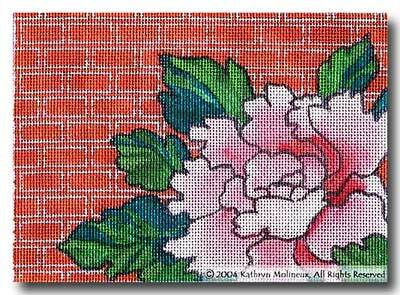 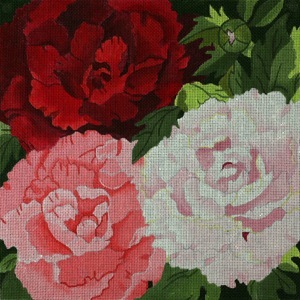 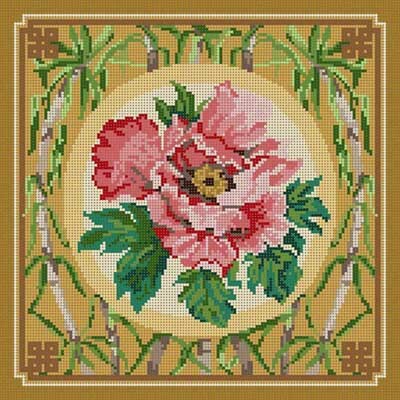 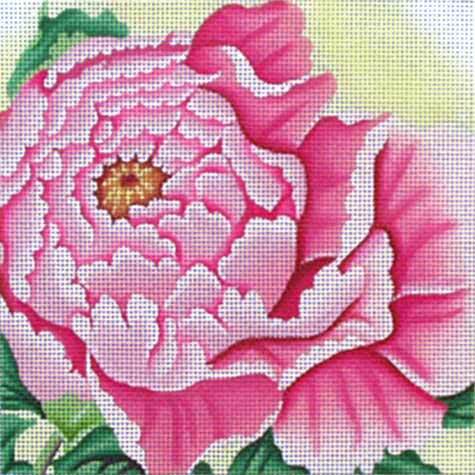 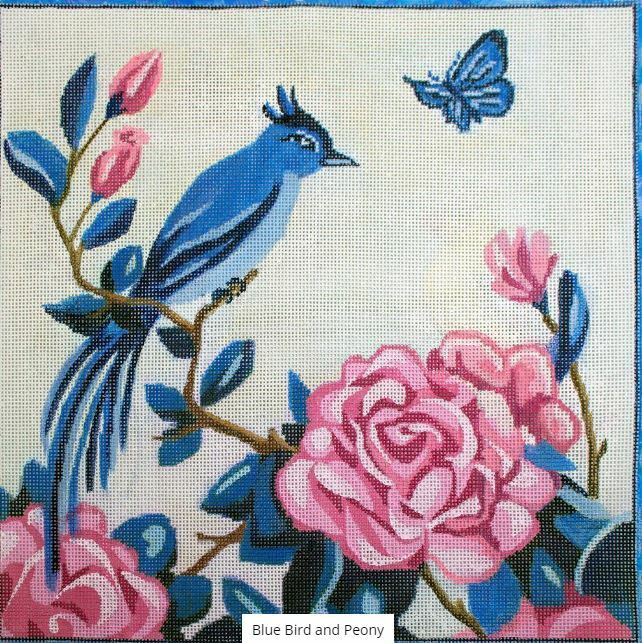 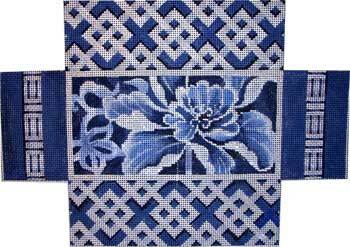 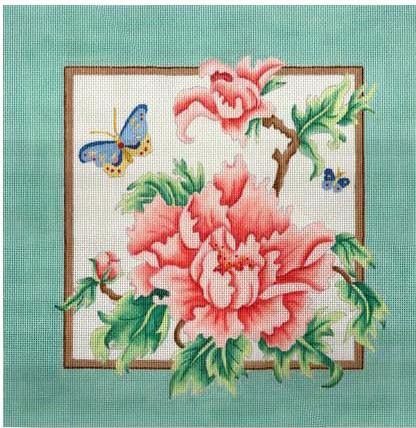 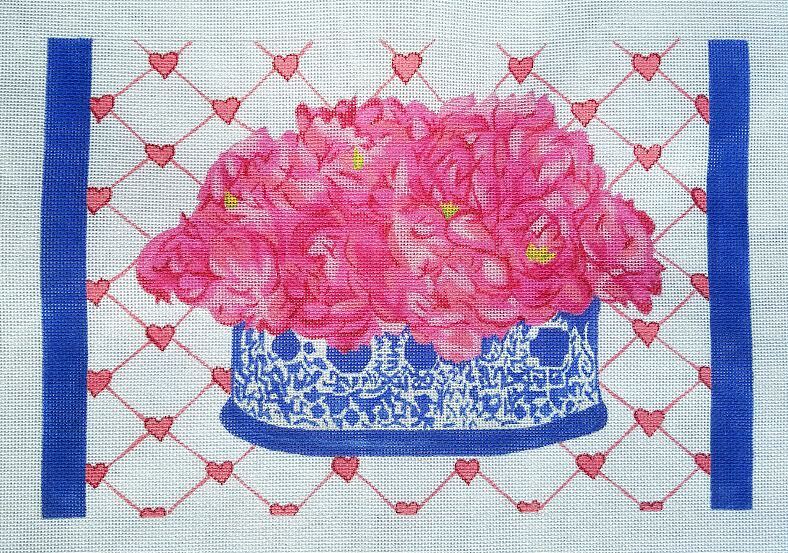 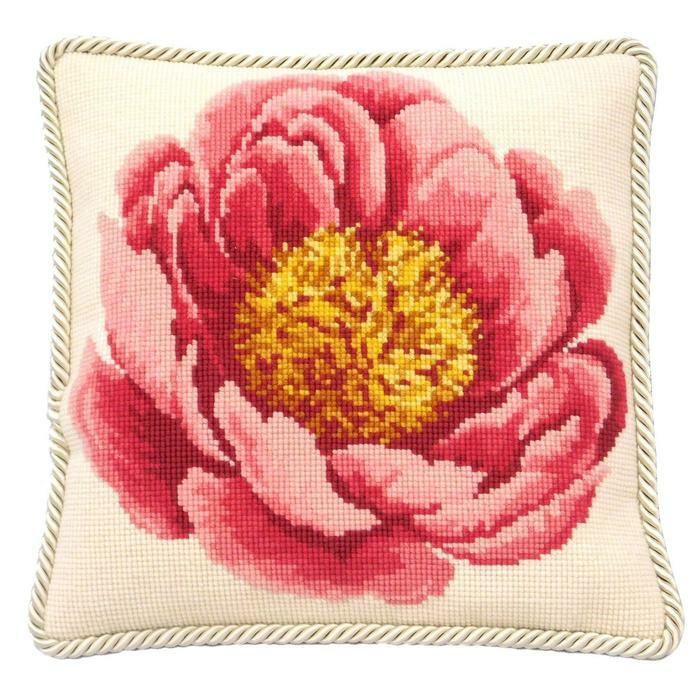 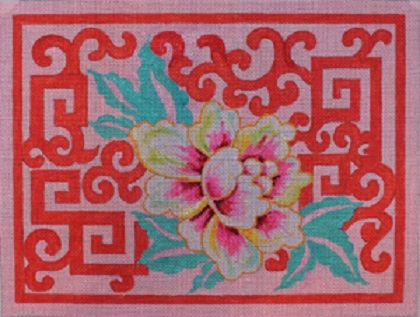 The Peony design is 12" x 12" on a 16" x 16" canvas. 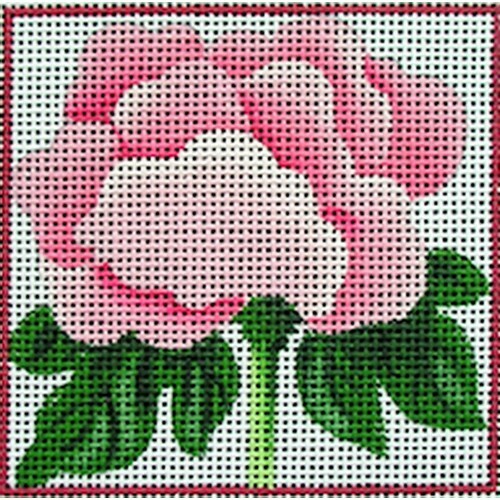 The kit includes a chart card, printed canvas measuring 10 holes per inch, needles, and Elizabeth Bradley Tapestry Wool. 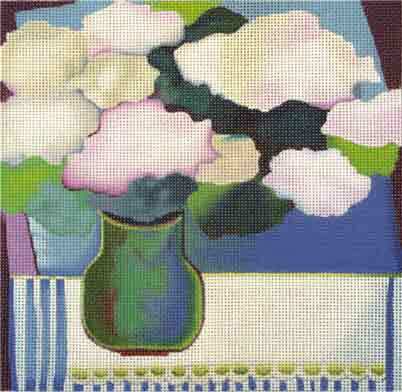 Finished Cushion shown on Winter White Background.